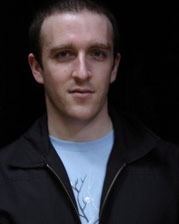 Joshua McVeigh-Schultz is a designer, scholar, and media maker in the Media Arts and Practice PhD program in USC’s School of Cinematic Arts. He is interested in the intersection between interactivity design and rituals of public life. He completed an MA in Asian Studies at UC Berkeley and an MFA in UC Santa Cruz’s Digital Arts and New Media program. He works as a researcher for the Institute for Multimedia Literacy and is a member of Henry Jenkins’s Civic Paths research group, studying new models of political engagement at the intersection of civics and pop-culture. He is also a designer in Scott Fisher’s Mobile and Environmental Research Lab, where he develops speculative interactive experiences for built environments and vehicles of the future. Harold Garfinkel once described his methodological “preference to start with the familiar scenes and ask what can be done to make trouble.” My work adapts this idea of “making trouble” (and disrupting the familiar) as a model of design research. The opportunity, and risk, of interactivity design is that it forces us to make very specific decisions about mechanics and affordances based on assumptions about their impact on users/participants/players. This positioning is sometimes more precarious than that of the analyst, who can rely on the mutually constitutive relationship between culture and technology. By contrast, a designer is forced—at some level—to wrestle with issues of determinism, which is why the model of design-as-intervention has so much appeal for me, because it gets us outside of the functionalist mindset of a social engineer. This friction between expectation and outcome drives the design process for me (without productive failure there is no iterative cycle). As a research methodology this approach can be freeing, and I think there are takeaways for scholars working within more traditional disciplines of the humanities and social sciences as well. While the last 100 years have seen dramatic innovation in the area of one-to-one, one-to-many, and now many-to-many communication platforms, there has nevertheless been remarkably little innovation in the platforms of many-to-one communication—of which, I would argue, voting and public assembly are among our oldest and most familiar examples. Likewise, there has been considerable innovation in the area of information delivery platforms, but there seems to be less innovation in the rituals of civic life—what James Carey has called the ritual function of the news (as distinct from its information delivery capacities). I would argue that it is our media rituals, and not just the platforms, which require a critical redesign. I think we should be rethinking the values of participatory democracy in terms of the meta-communicative affordances of representation. Taking a cue from John Hartley and Henry Jenkins’s writing on reality television, I draw inspiration from the practices of plebiscitary counter publics. The desire to “break the system” represents a productive mode of engagement that media gatekeepers have yet to reconcile with (as demonstrated, for example, by CNN’s reluctance to acknowledge the #CNNFail meme). Practices that get construed as transgressive misuse of participatory infrastructure, could and should be rethought as attempts to call attention to fissures in the feedback-loop between participating audience and media gatekeepers. Along these lines, we should be designing new plebiscitary platforms and public rituals better equipped to handle the meta-communicative task that practices of voting (both formal and informal) are increasingly taking on.